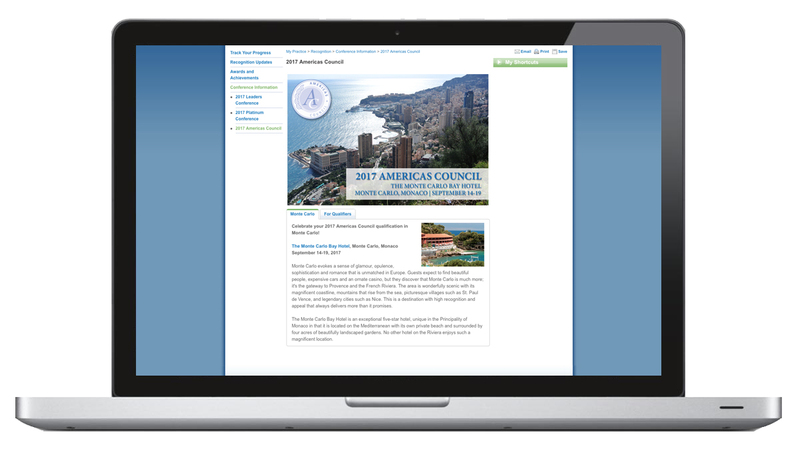 Front-end design and content management of websites. 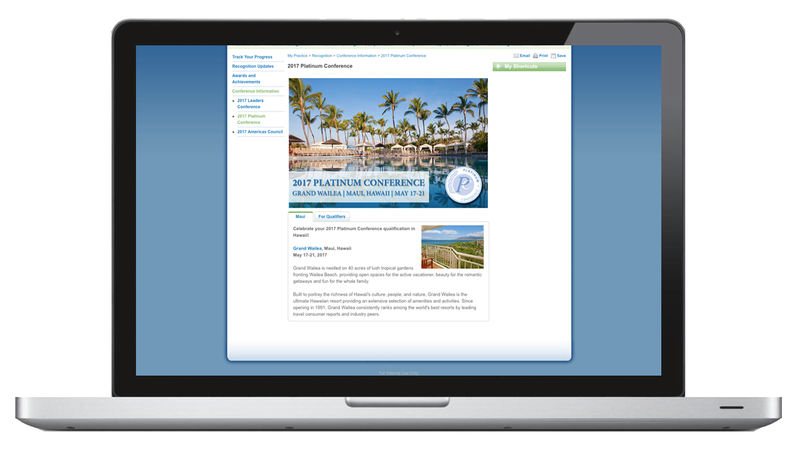 Developed three portal pages promoting recognition conferences for field sales advisors. Click here for more information. Click on the samples below for a larger view. Redesigned the professional organization’s website. Click here for more information. Click on the samples below for a larger view.